My day 26 project was a Memory Wire Dangle Necklace. 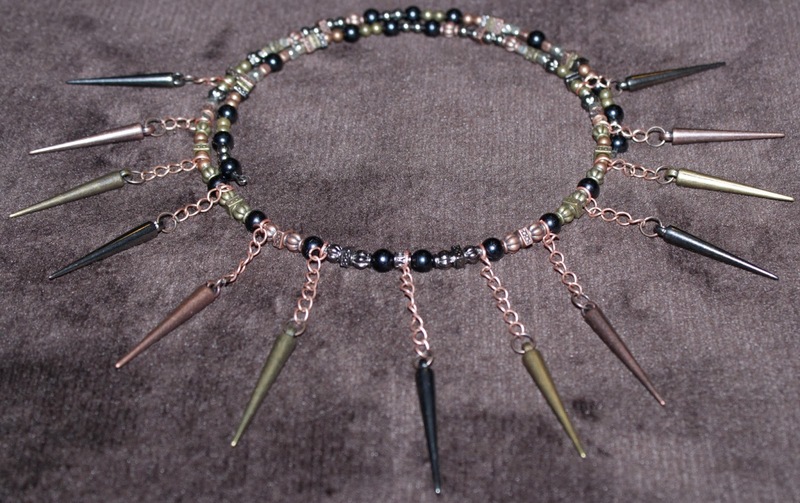 The inspiration for the necklace came from this pin of an eBay’d item that I ran across last year. I’ve made plenty of memory wire necklaces in the past, but never incorporated any extra decoration aside from a pendant before. 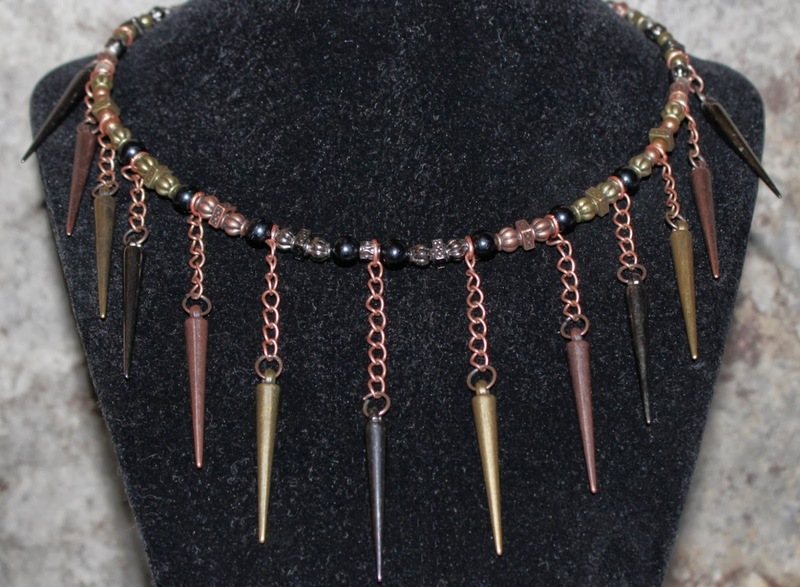 I had some cool spike dangles on a chain that I found at Michaels last year (Beadaholique also sells them, but without the chain). I’ve been using them sparingly to make craft show earrings, but have been trying to think of another use for them. 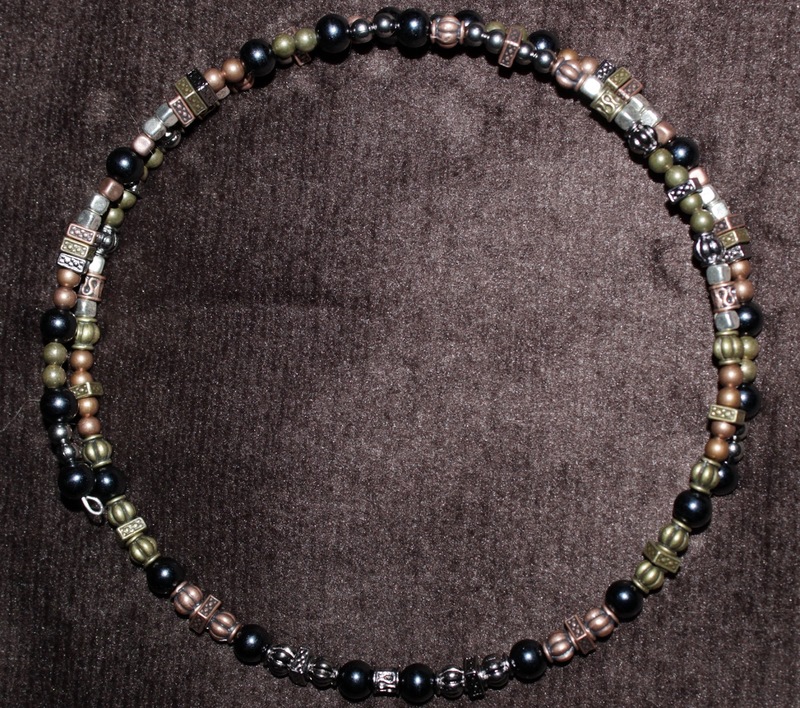 Those, combined with matching beads and some black pearls, made up the necklace. The beading on the necklace took me about 30-45 minutes. I think it ended up as a nice mix of the pearl and metal tones. Adding the spikes took me about another 45-60 minutes. 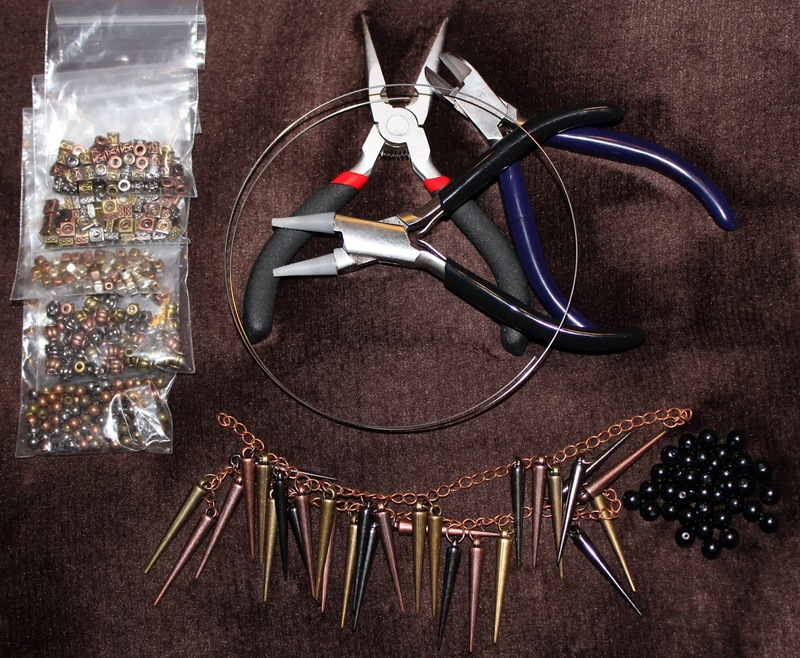 Half of that time was measuring out the correct lengths of chain and then re-attaching the spikes I wanted to that; the other half was devoted to attaching the dangles to the necklace with copper jump rings. I did try it on as well and love how it looks. I’m going to take it with me on my business trip and see if I can’t find an excuse to wear it! Next PostCalifornia, Here I Come (and New Camera Goodness)!